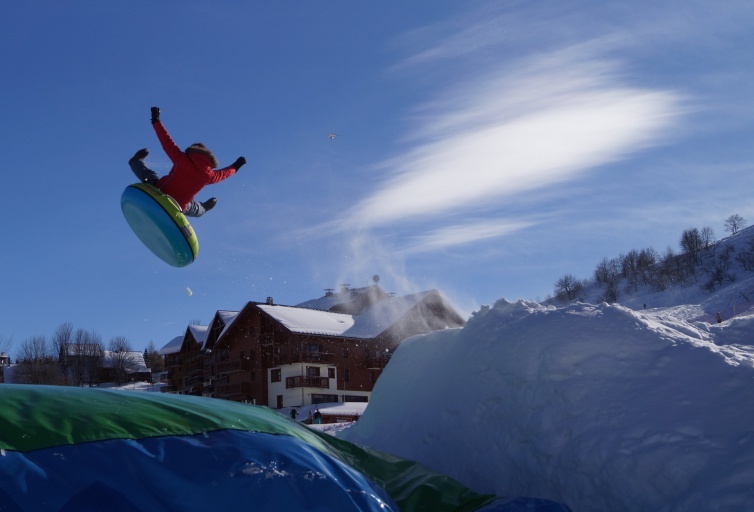 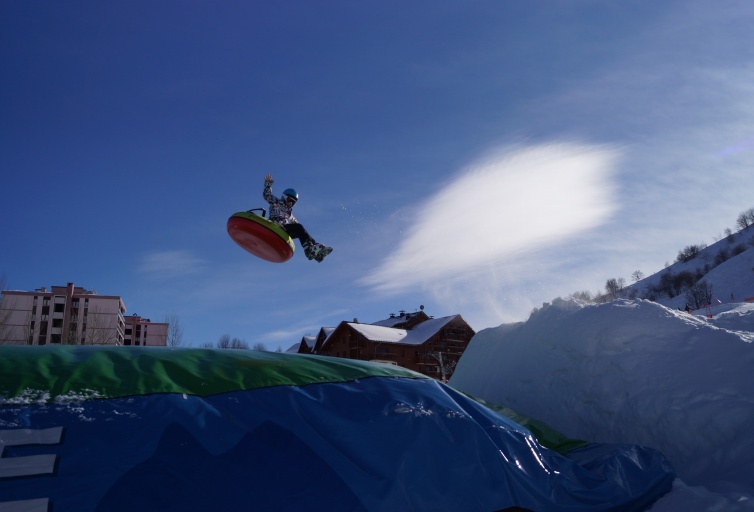 Get down to the Big Air Bag area at La Toussuire for an insanely fun session: hop onto an extra large tube and head at top speed towards a huge inflatable air cushion, the Big Air Bag! 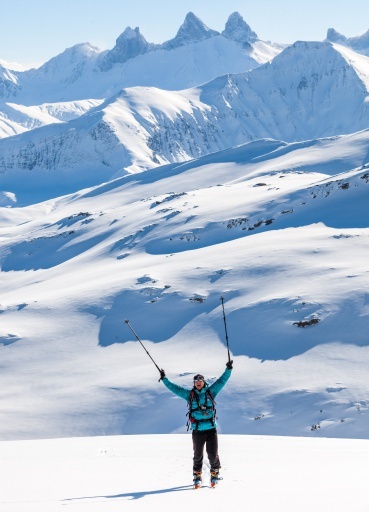 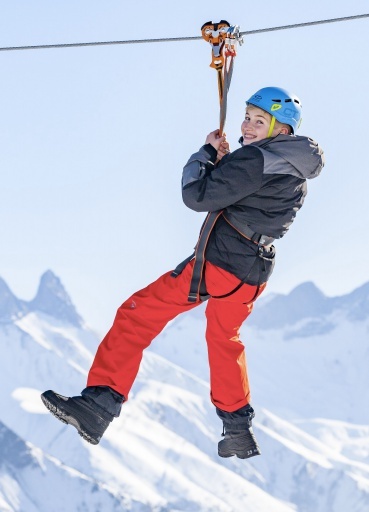 A crazy activity not to be missed for any excuse! 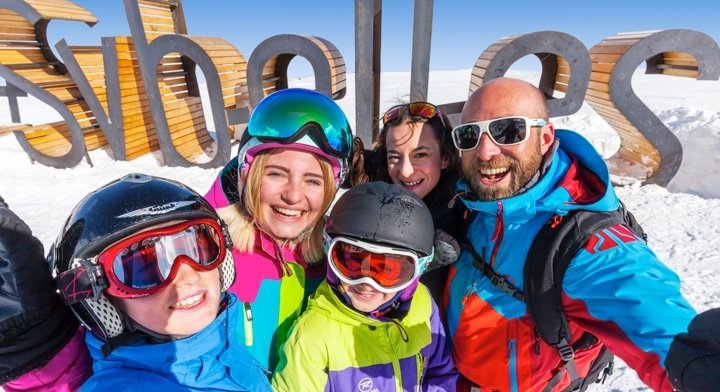 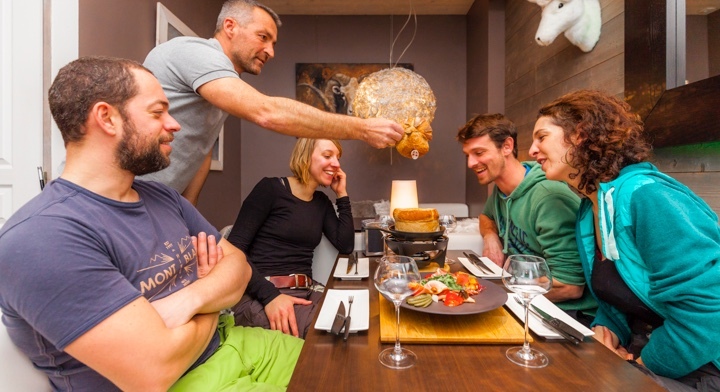 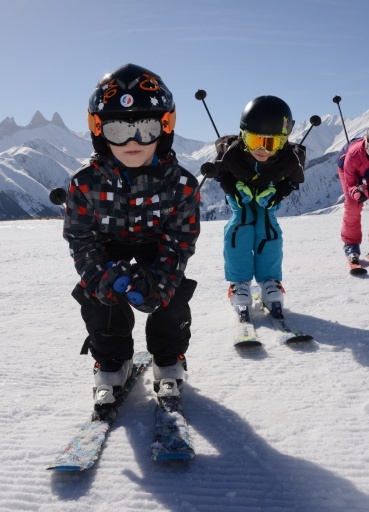 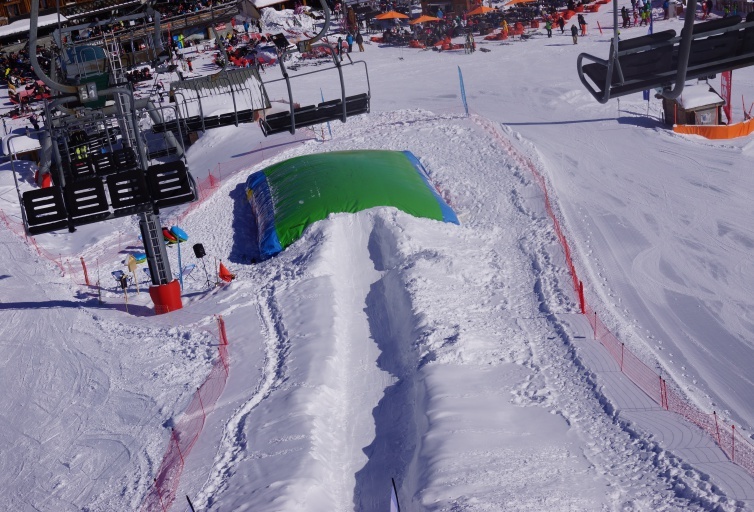 At the Espace Sensation at the La Toussuire snow front, try out jumps and tricks, with a soft landing on a large inflatable mattress!